Happy Chinese New Year! Today, we say good-bye to the year of the Goat and hello to the year of The Fire Monkey. 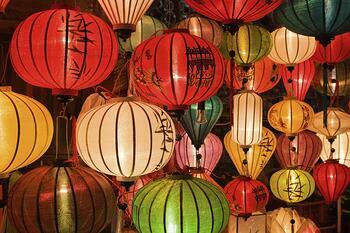 Chinese New Year is celebrated throughout parts of Asia and is also known as the Spring Festival and Lunar New Year. Here are some ways that you and your family can celebrate this holiday. Those who celebrate Lunar New Year believe that cleaning will help rid their house of bad luck associated with the previous year. This is also a good opportunity to get a jump start on your spring cleaning. Take a look at some things that can be donated or thrown out before the weather starts warming up. Then, after the New Year passes, avoid sweeping for a few days to prevent sweeping away the good luck you’ve built. Like dirt, debts are seen as a bad omen to ring in the New Year. If you haven’t already, this is your chance to get started on a budget and start paying off some of those lingering debts. Debt Consolidation is another option for those who are dealing with several high-interest rate debts at once and want to get them paid off quicker. Red symbolizes good luck in Chinese culture and is the main color used in New Year’s decorations. Avoid wearing too much black, as this color symbolizes bad luck and even death. If you want to decorate your home, make sure to use lots of red. If you are feeling burdened with some unresolved issues with friends or family, now is the time to clear the air. Even if speaking and apologizing doesn’t clear the rift, you can feel better knowing that you tried and release that burden. One of the most important aspects of this holiday is to spend time with the family. Clear a night on your schedule and see if you can get the whole family together for a meal. For a little more tradition, include items such as fish, noodles, oranges, dumplings, and egg rolls in your menu.